A long-term temporary signal has been installed on Route 26 at the westbound off-ramp of I-80 at the Bellefonte exit. 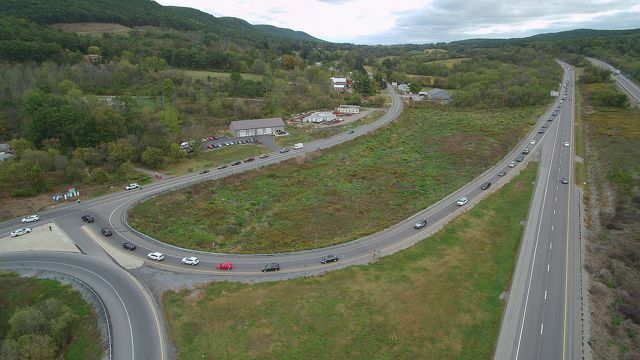 Backups at exit 161/Bellefonte of Interstate 80 are a frequent problem during periods of high traffic volume, and it's an issue that will be addressed with the future construction of a new high-speed interchange between I-80 and I-99. For now, though, PennDOT is looking to ease some of that congestion through other measures. A long-term temporary signal has been installed on Route 26 at the westbound off ramp for exit 161 of I-80. It will be activated on Monday and will be in flashing mode until Thursday when it will become fully operational. "The signal is being installed as a safety precaution that should help ease the congestion and backups on I-80 that occur when traffic volumes in the area are significant," a PennDOT release said. Message boards along I-80 will alert westbound drivers to expect the new signal. Portable message signs will be in place on Route 26 in the area. The first phase of construction for the new interchange is expected to begin in 2020 with construction of a local access interchange. That project will take about two years and then the high-speed interchange from I-80 to I-99 will be constructed. 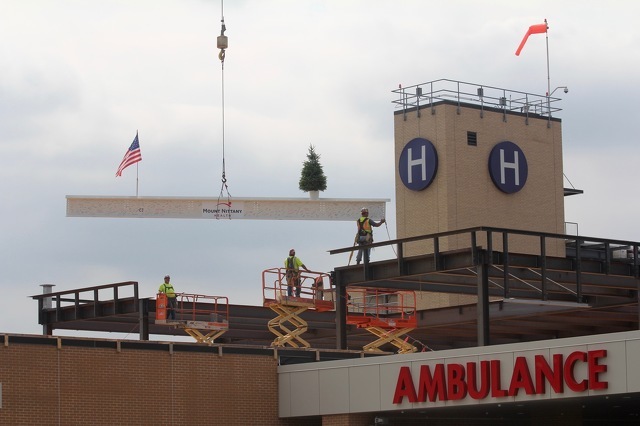 Mount Nittany Health on Friday officially announced the construction of a new, 26,000-square-foot cardiovascular pavilion that will open at the medical center in the fall of 2019.